I have been reading your website for almost a year now. I found you through posts you made at Macrumors. I enjoy the different perspective your site provides on the drama that goes on in Apple business and amongst third party developers. As a black man, I have always thought it unique that you feature a quote from the memorable Dr. Martin Luther King Jr.. However, I noticed that on the day we celebrated Dr. King [you made no mention of him]. You did wish everyone a Happy Thanksgiving and a Merry Christmas. If I remember correctly, you even wished Steve Jobs and Steve Wozniak Happy Birthday. Do you plan to wish everyone Happy Valentine's Day? Why do you not see this as just as an important wish for the readers of your website? Interesting to say the least. The last thing I want to do on this website is offend anyone ... although sometimes that's not possible. Sometimes the truth is offensive to those that read their biographies. I take exception to this reader's mention of Martin Luther King Day being "just as important" as Christmas or Thanksgiving. Would Dr. King (who was also a minister) accept a holiday in his name? 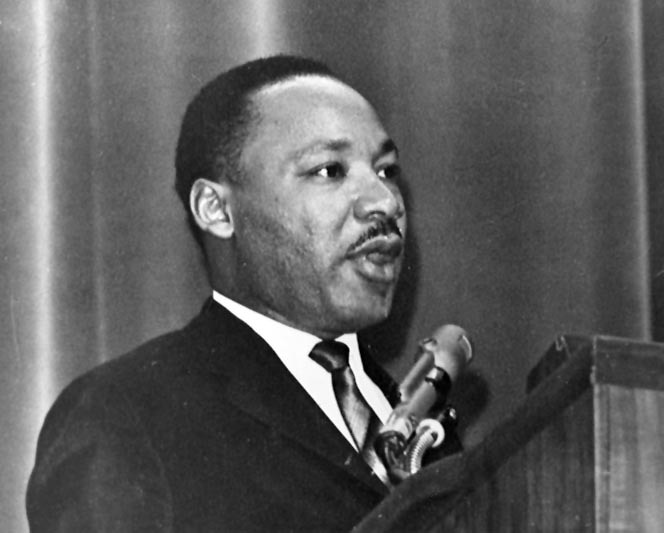 Would Dr. King think that he was just as important as Christ? Christmas is the celebration of Christ's birthday. Thanksgiving is another religious holiday ... it was made a national holiday to recognize the first settlers of the US and their thankfulness to God for bringing them here and providing them with a bountiful harvest. Both of these holidays are celebrated by blacks, whites, asians, and eastern and western indians alike. One reason I don't like the specific nature of Martin Luther King Day is that it is targetted towards an exclusive group. While King did many things to forward civil rights for all people, not just racial minorities, but economic minorities as well, I still don't see the merit in a national paid holiday. King preached hard work and perseverence ... would he really have wanted us to take a day off to honor him? There are too many holidays already ... and in actuality (I realize this sounds contradictory to my last statement) ... I wouldn't mind if President's Day or Memorial Day were replaced with Martin Luther King Day. Veteran's Day and The Fourth Of July are inclusive of all military veterans as it is now. So, my decision wasn't because it wasn't worthy news ... I actually turn down a lot of stories to post. Lastly, I mention Steve Wozniak and Steve Jobs birthday for thematic sake ... this is an Apple Business topical blog. I also post mention of Steve Jobs birthday because it is the same day as my own. I appreciate all emails ... I respond to any email personally. thank you for your insight here...I don't celebrate Jefferson Davis Day, but he did as much for his people as MLK has done for his. If MLK would have known how twisted his teachings would become he might have shot himself.